Join institutional investors, fund distributors and asset owners at the leading conference on global ESG and impact investing. Network, explore investment opportunities and discuss the latest trends. The Fourth TBLI CONFERENCE EUROPE will be held in Zurich, June 12th - 13th 2019. Join institutional investors, fund distributors and asset owners at the leading conference on global ESG and impact investing. Network, explore investment opportunities and discuss the latest trends. The Fourth TBLI CONFERENCE ASIA will be held in Singapore, November 7th - 8th 2019. All Asian Events are for Investment Decision Makers. No Fee to Attend. Apply here for registration. Join institutional investors, fund distributors and asset owners at the leading conference on global ESG and impact investing. Network, explore investment opportunities and discuss the latest trends. All Asian Events for Investment Decsion Makers. No fee to attend. TBLI CONFERENCE ASIA-Hong Kong will be held in Hong Kong, on Nov. 11-12, 2019. TBLI Conference Europe 2019. 12-13th June. For over 20 years, the Triple Bottom Line Investing Group (TBLI) has conducted operations through a proprietary network of Sustainability, Impact, and the Environmental, Social and Governance (ESG) communities. Our firm has created a vertically integrated ecosystem of education and action through networking at public conferences, private events, and investor salons through TBLI CONFERENCE; capital markets, corporate advisory and OCIO services through TBLI CONSULTING; and educational experiences through the firm’s charitable organization, STITCHING TBLI. TBLI CONFERENCE is the longest running values based global conference and convening business. Networking opportunities include bringing together thought leaders, asset managers, investors, and innovative organizations dedicated to public/private sustainable and social finance. TBLI’s events allow for peer-to-peer learning, local economic development, and new business development. Our signature event, TBLI NORDIC is one of the many events conducted by TBLI CONFERENCE. Convening is typically hosted at unique international venues that explore industry themes and customized content. TBLI CONSULTING offers clients advisory and consulting for sustainable business models, business formation and corporate development. 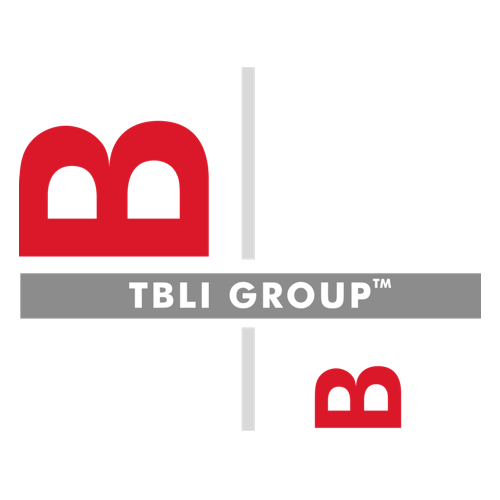 TBLI CONSULTING works with UHNW family offices, serial entrepreneurs and corporations onboarding triple bottom line investment strategies and/or investments. TBLI CONSULTING advises on new economic models, allocations, and innovative investments for sustainable and permanent private capital. Past clients include The Carbon Disclosure Project, SWFT, and the European Union.